Quite simply, The Suite Spot is designed to wow your customers, exceed their expectations and make their experience more comfortable, relaxing and social than ever. Backed by years of research and development, by QubicaAMF experts, it has been distinctly designed to fit your vision, style and space, and take your business beyond what you could imagine, catering to groups of all ages and sizes. 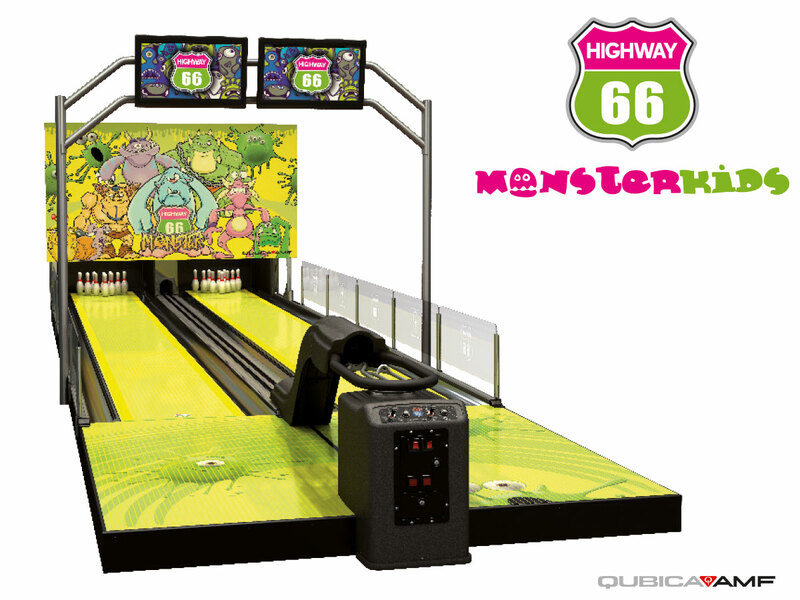 The Suite Spot offers a huge choice of mini bowling themes and styles. Choose from three classic lounge themes styled with rich woods and sophisticated colors. Or pick one of our seven colorful entertainment themes for an energetic look. Made for the ultimate VIP lounge experience, Jazz Town brings massively cool vibes along with tons of comfort and relaxation. 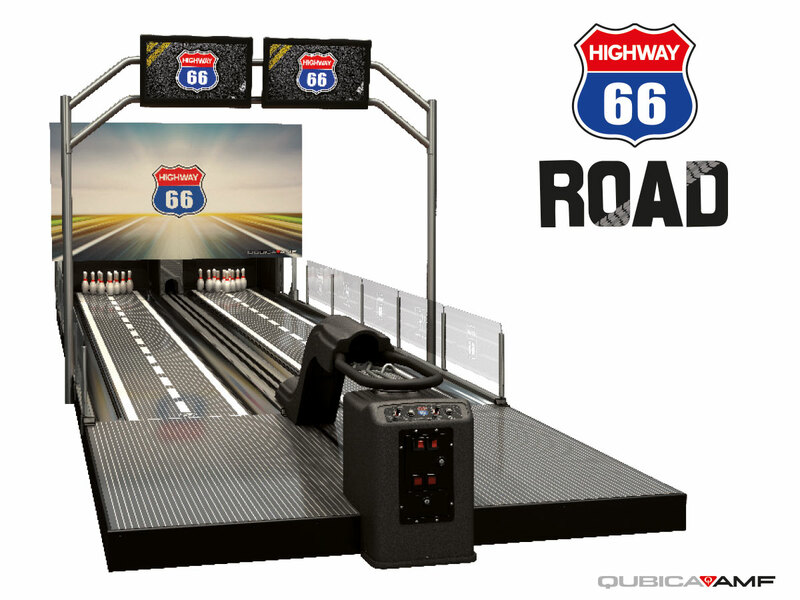 Its eye-appealing soft palette combines white blonde wood finish lanes together with masking graphics that recall jazz, live music and bowling. Infinity sofas in the Soundtrack color concept are the perfect match for this Suite Spot exclusive theme. This eye-popping concept is sure to get the fun going, the energy up, and your customers playing. 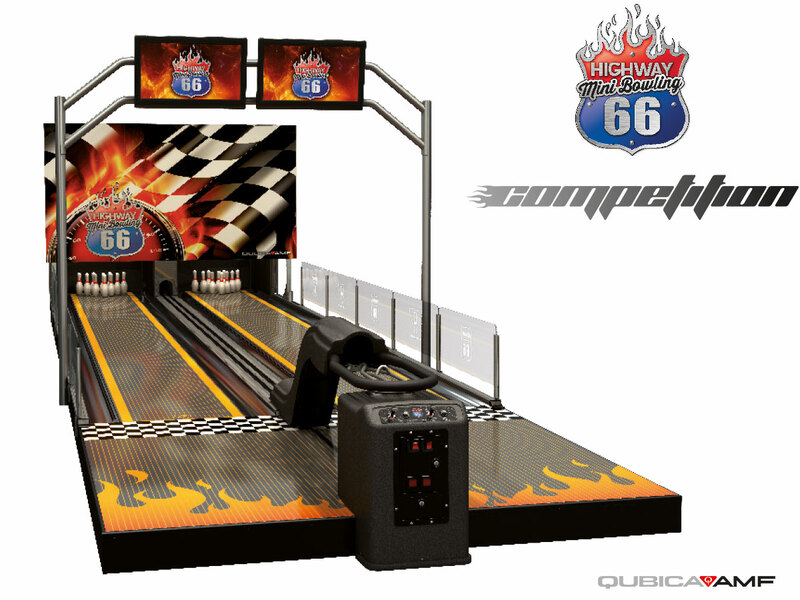 It combines Cherry Burst wood finish lanes together with masking graphics in a rich red and orange color palette. Red Infinity sofas are the perfect match to this Suite Spot exclusive theme, offering your customers a little sugar, spice and everything nice! 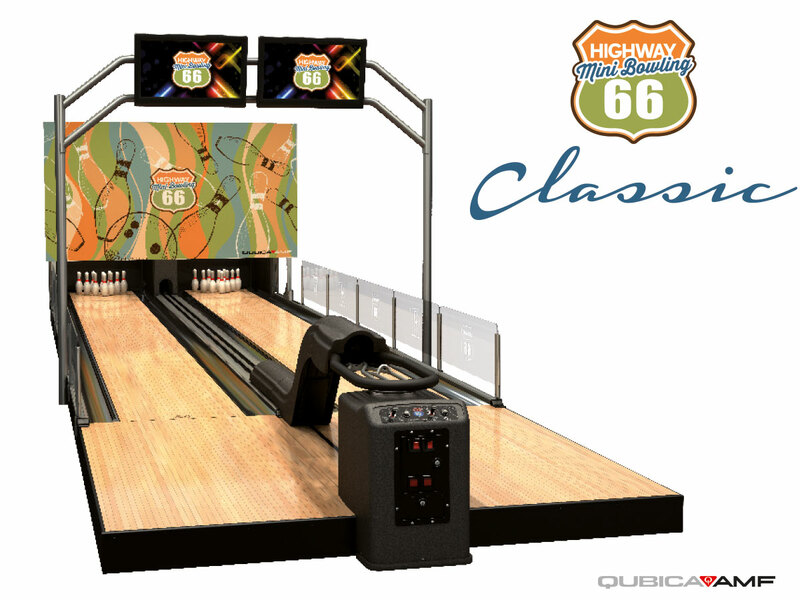 A perfect fit for any type of entertainment facility, the Classic Theme delivers all the fun of bowling—and then some. It features rich wood grain lanes and stylish masking units, for a nostalgic look of the good ol’ days, but with a modern twist. The Harmony furniture collection in the Rock and Roll color concept complete this theme. The Suite Spot is also available in a variety of entertainment themes ranging from elegant to amusing. You can choose one single theme for your venue or combine multiple themed units together. Our coordinating Harmony furniture line lets you complete the look to fit your unique needs and space. cartoon-style monster characters on masking units and lane graphics make for exciting play. Kids, families and young adults won't be able to resist. 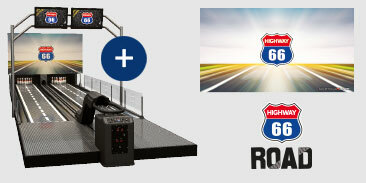 Bring the sights and sounds of traditional tenpin play to the exciting mini bowling arena. Our new Classic Theme features rich wood-grain lanes and elegant masking units. It's a surefire way to attract families, adults and seniors. Crank up player excitement and your RPMs (revenue per minute) with this blazing-hot race-oriented theme. 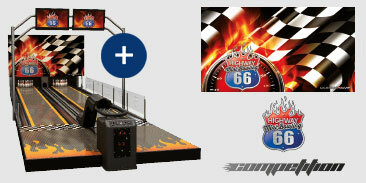 It appeals to all players who want to smoke the competition and set the world on fire with their bowling skills. Traditional never looked better. We've taken the original Highway66 design and modernized it, while retaining the elements that made it a smashing international success. This iconic theme appeals to customers of all types and ages.